YouTube is the largest entertainment and live streaming platform for the Video lovers. It provides all types of entertainment including comedy, horror,love and etc. 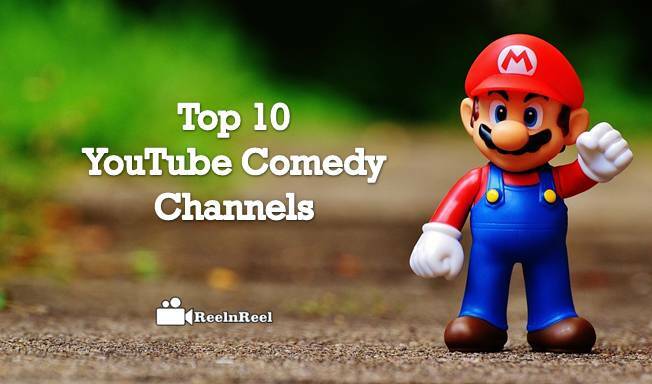 Here are the Top 10 YouTube Comedy Channels . It’s a Spanish channel and has achieved the best result in Spanish speaking countries. Elrubius will upload the videos of the scariest games, games with comedy, indie games, and one-minute play games. He will make hilarious montage by using secret cameras, Chatroulette, and trollefono. He will make funny videos with the fun cam in a creepy way and users can laugh at louder with full of stomach. It has 22,346,416+ subscribers and 4,769,501,058+ viewers. Ryan is a famous American YouTube figure and he generates the tunnels of fun by making entertaining videos with the help of his friends. Sometimes they do the experiments of movie figures in real-time characters like ninja boys and they move on roads to help the people. He gives the speech for different comic characters which are being very funny, including that sometimes he used to generate music albums. She composes the funny videos in a generic way i.e., with real activity by her. She desperately reveals the behavior of people in a humorous way and she is most famed for doing funny makeup all the time. Watching her videos we can get peace of mind with an unexpected smile, even children can enjoy the show. This channel has 16,701,453+ subscribers and 2,181,651,831+ viewers. It is Spanish YouTube channel and they produce all the shows of real stories with funny characters in the modern way that brings the enjoyment in the viewers. They narrate generally happening things in a silly manner. Everyone knows about the YouTube entertainer Jimmy Fallon and the thing he will do on his YouTube channels is that he invites celebrities to chit chat with him by disclosing the real story of their life in the professional way and personal way. He will raise funny questions in the show that makes everyone to be excited and enjoyable to know about them. The no. of subscribers for this channel are 12,727,717+ and the unexpected viewers like 6,318,825,011+. They produce the comedy videos like animation, channels honorable sketches, music videos and too many web series in our home of the website. This channel makes all videos of its own and they consider the videos which had been sent by the users. This is a well-known channel for best comedy stuff on YouTube. Generally, we know about Lilly Singh and she designs the personalities with funny costumes. The outlook of those characters will create fun. He collects the videos of already happened and he makes commentary on those situations that happened in the video. Finally, he gives the conclusion for those videos and he uploads comedy web series that are much entertaining ever. Jeana and Jessy will make the pranks by choosing the characters to give surprise to the people in public places. Some people scared of those characters and some will take in a silly manner. This is very humorous to enjoy in a realistic way. It has 10,240,055+ subscribers and 1,817,137,730+ viewers. He composes the funniest videos by showing the difference between the facts and the fiction, testing the patience of the people through annoying things in a pleasurable behavior. Everyone can get the feel enjoyment in every bit of video and moreover this is the family entertaining channel on YouTube that is French based. What is Volumetric Video ? How To Use YouTube Premium? How To Use YouTube Community To Build Business Leads? @2019 - www.reelnreel.com. All Right Reserved.